Frontline Fire & Security install a range of affordable, cost-effective intruder alarms without skimping on the quality. We use brands you will recognise and make sure that our installations comply with the latest industry standards. Intruder Alarms will be designed, installed and maintained with your exact requirements in mind, but also to comply with requirements set by the Police and Insurance Companies. Unfortunately it is a fact that theft and criminal damage is a threat to us all, whether this is at your family home or business premise. 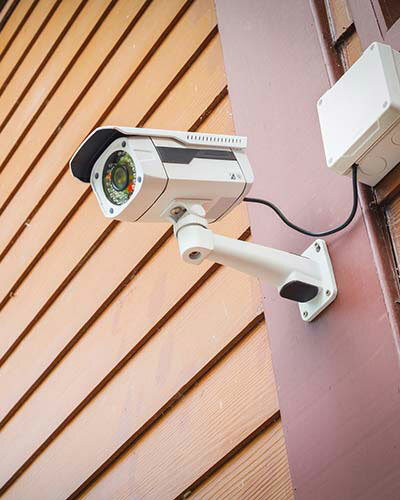 Frontline Fire & Security are striving to make it as easy and affordable as possible for customers to take preventative action to protect their property from the perimeter right up to inside. Whether you require a simple bells only system or a sophisticated integral police monitored alarm, we can assist. In the event of alarm activation, we can arrange for yourselves or a friend/neighbour to be notified via auto dialler systems. For an even greater level of security, your alarm could signal an Alarm Receiving Centre (ARC) so that a keyholder or even the police can be notified. A confirmed alarm system such as this is designed to provide a fast and efficient response to alarm activation.